Rebecca Beatrice Brooks January 25, 2017 July 30, 2018 2 Comments on What Was the Lowell System? The Lowell System was a labor production model invented by Francis Cabot Lowell in Massachusetts in the 19th century. The system was designed so that every step of the manufacturing process was done under one roof and the work was performed by young adult women instead of children or young men. The Lowell System, which is also sometimes called the Waltham-Lowell System, was first used in the Waltham and Lowell textile mills during the industrial revolution. This model was so successful that Lowell’s business associates expanded and opened numerous textile mills in Massachusetts using this model. Why Did Lowell Invent the Lowell System? 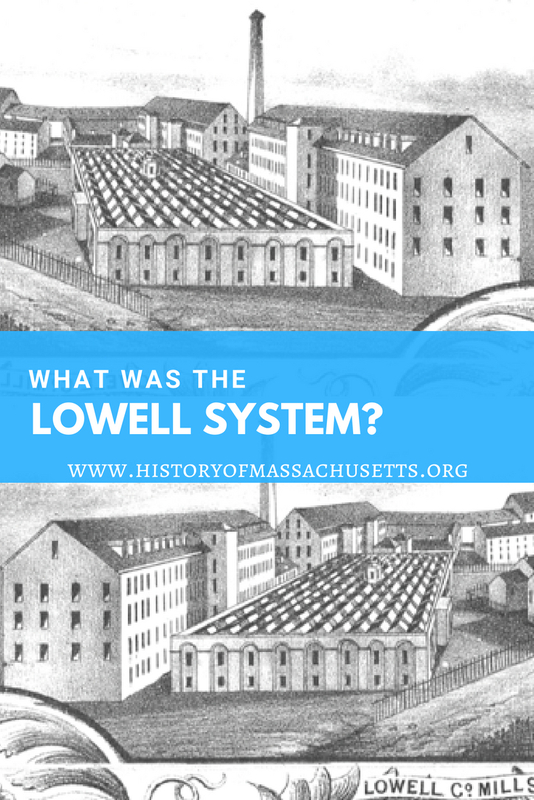 How Did Lowell Get the Idea for the Lowell System? During Lowell’s trip to England, he toured the mills and memorized the design of the power looms. After returning to the U.S., he formed the Boston Manufacturing Company in 1813 and the company built its first mill next to the Charles River in Waltham, Mass in 1814. Up until the time of the Industrial Revolution, looms were powered by a person via a foot pedal but the power loom was mechanized and powered by a line shaft driven by a source of running water, such as a river, which sped up the weaving process significantly. As a result, the power loom is considered one of the most important inventions of the industrial revolution. This Lowell System was faster and more efficient and completely revolutionized the textile industry. It eventually became the model for other manufacturing industries in the country. The Lowell system created a new way to control the labor supply. The mill hired young, single women, between the ages of 15 and 35. The Lowell System was not only more efficient but was also designed to minimize the dehumanizing effects of industrial labor by paying in cash, hiring young adults instead of children, offering employment for only a few years and by providing educational opportunities to help workers move on to better jobs, such as school teachers, nurses and etc. The Lowell mill girls were also encouraged to educate themselves and pursue intellectual activities. They attended free lectures by Ralph Waldo Emerson and John Quincy Adams at the company-owned Lowell Lyceum, circulating libraries provided access to books, and they were encouraged to join “improvement circles” which promoted creative writing and public discussion. A typical work day in the Lowell System lasted about twelve hours, depending on the season. The exact hours the employees worked changed per season. From May to August, the work day started at 5am. From September 1 to April, the work day started at dawn. From November to February, breakfast was served before work. In March, breakfast was served at 7:15 am, from April to September it was served at 7am sharp and from September to October it was served at 7:30 am. Lunch was served throughout the year at 12:30pm. From May to August, the work day ended at 7pm, in September it ended at dark, from October to March it ended at 7:30pm and in April it ended at dark. After dinner, the employees attended lectures, formed groups aimed at self-improvement and attended church. Curfew was at 10pm. The Lowell employees worked six days a week and attended Church services on Sunday. Overproduction during the 1830s caused the price of finished cloth to drop. In response, the mills cut wages and increased work duties, forcing the workers to work harder at a faster pace. In 1834, the mill cut the workers wages by 25 percent. The mill girls responded by staging a strike and organizing a labor union called the Factory Girls Association. The union’s efforts were unsuccessful. Two years later, the mill girls went on strike again when their housing rates were increased but the strike failed again. Conditions continued to deteriorate until 1845 when the mill girls formed the Female Labor Reform Association. This association joined forces with other Massachusetts laborers to force the government to pass legislation aimed at improving working conditions in the state. The association helped pass laws the limited working hours but the mills simply ignored the new laws. The Lowell system continued to fail when Irish immigrants, who started to flock to Massachusetts in 1846 to escape the famine in Ireland, sought work in the mills. These immigrant workers, who were mostly women with large families who often put their children to work in the mills with them, were willing to work longer hours for cheaper wages. Because these workers tended to be married and have families, they didn’t live in the inexpensive company dormitories and instead lived in tenement housing. This reliance on immigrant workers slowly turned the mills into what they were trying to avoid: a system that exploited the lower classes and made them permanently dependent on the low-paying mill jobs. By the 1850s, the Lowell system was considered a failed experiment and the mills began using more and more immigrant and child labor. Textile manufacturing in New England started to decline in the 1890s when new technological advances made it easier and cheaper to manufacture textiles in the south, where cotton was grown locally, heating costs were cheaper and there were fewer labor unions. 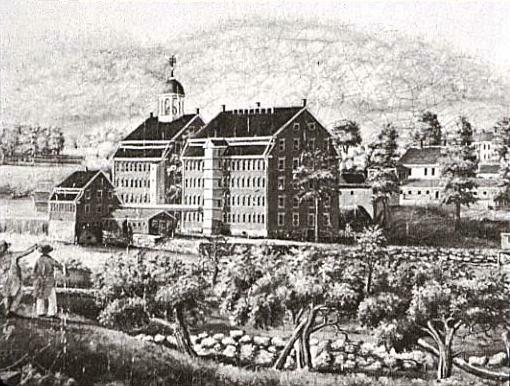 The mill’s owners decided not to modernize or update the Massachusetts textile mills and instead invested in building modern textile mills in the south. 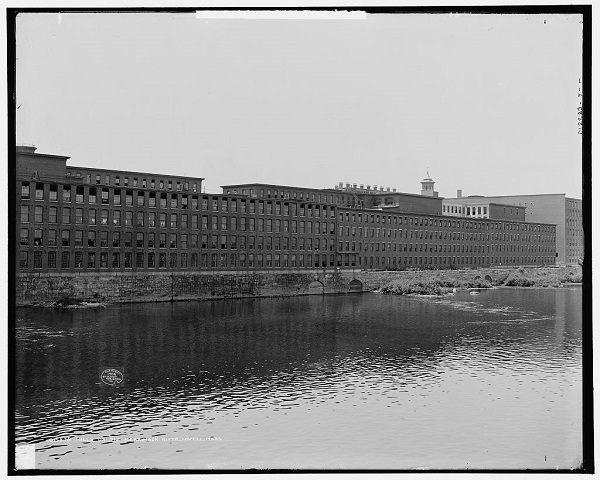 As a result, by the mid 20th century, all of the New England textile mills, including the Lowell textile mills, had either closed or relocated to the south. To learn more about the industrial revolution, check out my article on the Best Books About the Industrial Revolution. Walton, Perry. The Story of Textiles: A Bird’s Eye View of the History of the Beginning and Growth of the Industry, By Which Mankind is Clothed. John S. Lawrence, 1912. Shi, David E. The Simple Life: Plain Living and High Thinking in American Culture. University of Georgia Press, 1985. Bates, Christopher G. The Early Republic and Antebellum America: An Encyclopedia of Social, Political, Cultural and Economic History. Routledge, 2010. The Encyclopedia Of the War Of 1812: A Political, Social, and Military History. Edited by Spencer C. Tucker, ABC-CLIO, 2012. Appleton. Nathan. Introduction of the Power Loom, and Origin of Lowell. B.H. Penhallow, 1858. Great article for all manufacturers and advocates of new technologies to understand how manufacturing innovations are achieved from new systems, and not necessarily from new investments.